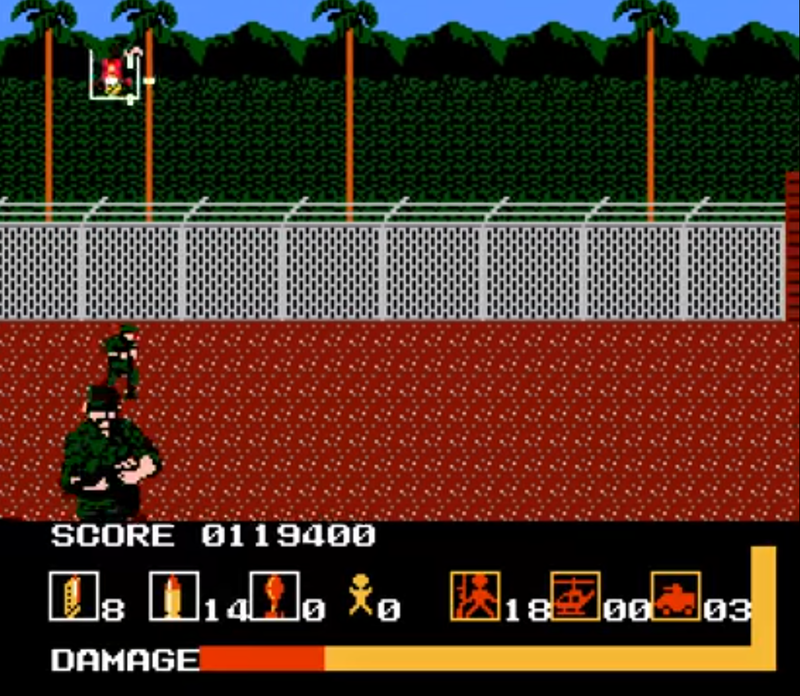 Released in 1987 in the arcades, and the Sega Master System in 1991 Operation Wolf is renowned for being one of the best Light Gun Games of the era. Though it is one of the most (home) converted games of all time, only the NES, Spectrum and S.M.S offered actual Light Gun support. And with that, in my attempts to play all Light Gun games possible, is Operation Wolf any good nowadays? You take on the role of Roy Adams, a U.S special forces bloke sent to rescue 5 captured Prisoners of War. This is a light gun game, so you shoot things with your manly plastic weapon, one difference here is that you need to use the control pad to be able to use your special weapons. It took me a while to realise this, and it is slightly awkward holding a control pad AND a gun, but you get used to it. There are 6 levels, and each level progresses the story slightly. 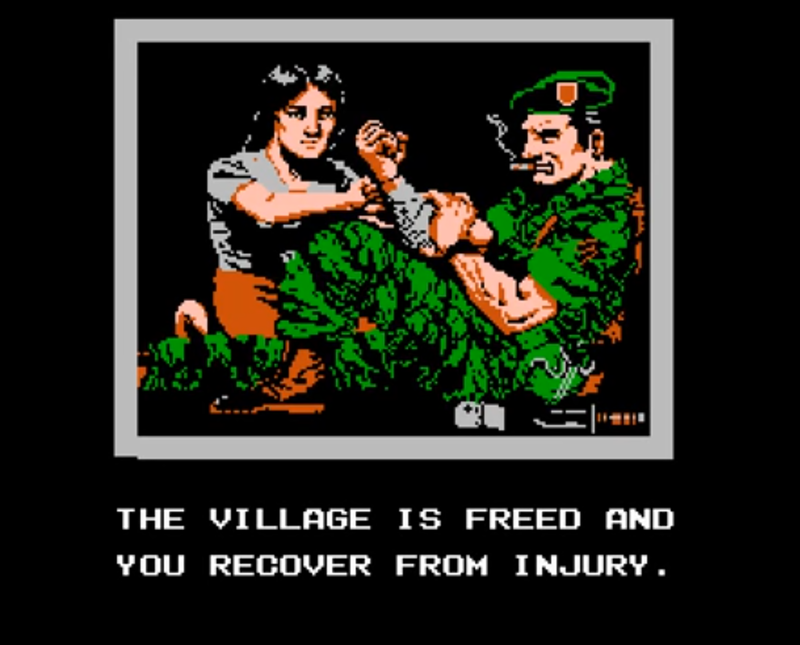 For example, when you beat the Jungle level, you interrogate an enemy to find out the location of the P.O.Ws, when you liberate the Village they’ll heal your wounds. The enemy sprites are a little on the small side, and it means you’ll struggle to hit enemies at first, however, once you get a little bit more accurate, you realise the shooting is fairly solid. Each level tells you how many enemies you need to kill, and the level will continue until the target is reached, some enemies will run on and off screen quickly, meaning you can miss them, but you don’t get cheap hits. The enemies that hit you will be on screen for a while, so when you take damage, it is your fault, not bad game design. I beat the game first time, and I didn’t get gameover or use a continue, so the game is on the easier side, though there is some difficulty in ammo management. Each level you are given a set amount of ammo, if you use it, you’re fucked. However, you can pick up bonus ammo, and the best way to do this is by shooting wild life. PETA might get annoyed by this, but shooting animals on each stage will reward you with extra ammo or grenades. Don’t worry animal lovers, the animals don’t actually die! The game is short, I beat it in 10 minutes, and this would have been quicker if I didn’t have to pause the game to stop my wrist hurting. It isn’t really worth paying £15 for as it is so short, but if you find it cheap, or in a free arcade it is certainly worth a play. It is by far one of the best 8bit era shooters. 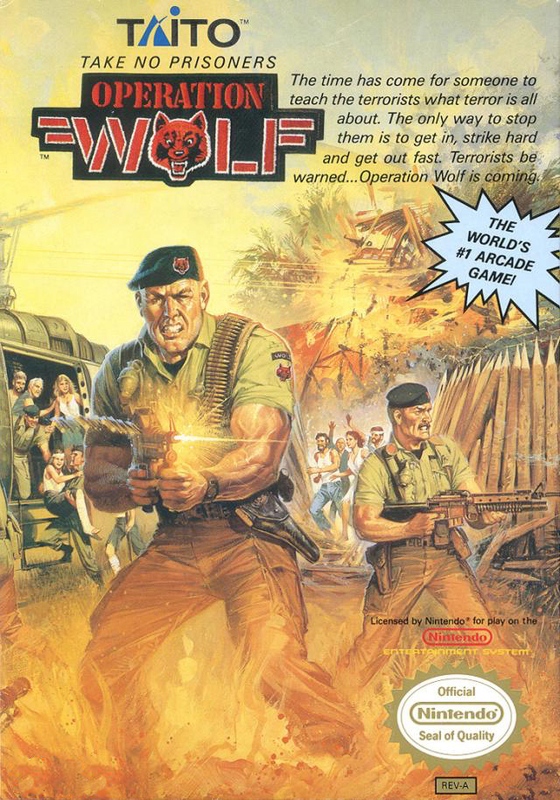 Operation Wolf won numerous awards such as “Best Coin-Op Conversion” and “Game of the Year”, suffice to say, it received excellent reviews and scored well into the 90s. ‹ Games Revisited’s Retro Gaming Hall of Shame! I didn’t even know this was released on the NES. That light gun was massively underused by the system. Neither did i, I accidentally found it while looking for the Master System version! When I first played this on NES I didn’t realize you could use the light gun (so just used controller). Boy did I like it better after using the light gun. How long did it then take you to realise you needed the pad for grenades? I love the game over screens for Operation Wolf…so precise and hopeless! “You have ran out of ammo and must join the hostages…” is one I’ve seen many a time. Next to zero for me then! Most games from that time don’t have that feature, so kudos to Operation Wolf!